TANIA: Hi, my guest today is Sophia Cayer, who is an expert in the treatment of trauma and abuse, using energy techniques and specifically EFT. So welcome Sophia. SOPHIA: Thank you Tania. It’s a pleasure to be here with you today. TANIA: Now Sophia is an EFT founding master and has extensive experience of using EFT, Emotional Freedom Techniques with trauma. So maybe Sophia you can tell me a little bit about how you got in to EFT to start off with. SOPHIA: Well, EFT kind of found me. It was an interesting trail that lead me to EFT, but it felt like a natural progression, because of some other work I had done in the past. And I had studied Reiki and a multitude of other things, but I was looking for something that I felt would be more empowering for the people that I was working with. And that would help take things to a deeper level for them and beyond just clearing traumatic experiences, help them rebuild their lives, know what to do. Because too frequently when we are working through traumatic issues, there is the fear about what happens next, who will I be, what will I do, so just getting life on track again. And I just felt EFT with my own experimentation and the assistance of some willing friends to be guinea pigs, I just knew that was the direction I wanted to go. TANIA: I think I first came across your work Sophia with a video that Gary Craig got on his website of one of the people you had worked with. I think he was doing jumping jacks or something like that. Maybe you can tell us a little bit about that work you did. SOPHIA: Oh my god. What an incredible man. His name is Hank Hadley and the work with Hank when he first came to me, the doctors had basically just told him to give it up and he was going to continue to go downhill. He was dealing with multiple sclerosis, many other challenges. He had been through addictions with pain pills and a number of other physical issues. But the traumatic issues in his life had never been dealt with. And he was astonished that by just tapping on some of those issues taking them apart, that his pain levels not only were dropping but his physical symptoms began to improve. And he was on disability for over 20 years, when we started working together. And (Now) he has been working full time with the absent of the wheel chair, crutches and everything he was dealing with, at that point and time, since, I believe it was late in 2004. TANIA: And I think that was a very interesting case because I think—had he not had operations on his back and everything? SOPHIA: Yes, he had had multiple surgeries on his back that was part of the chronic pain issue. He had also been through more than one bout with cancer. But he also had a incredibly traumatic childhood and several things happened to him even in adulthood including all the surgeries, and dealing with other diseases that just really made life a major challenge. TANIA: Again, as I said that’s when I first came across your work. But obviously you did a lot of work on trauma with this guy and you got this amazing result. 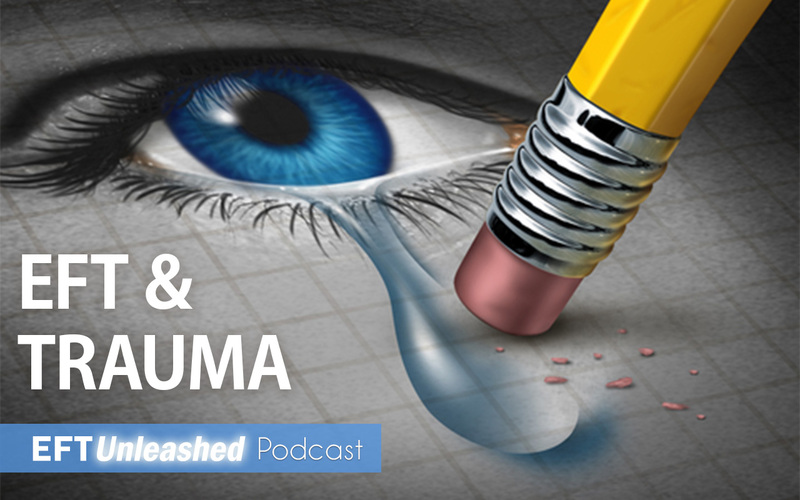 Now the trauma you’re talking about there is very high end trauma, but maybe you could explain a little bit about trauma to anyone who is listening in, because there are many degrees to it aren’t there? SOPHIA: There is a multitude of degrees and it’s interesting that you brought up Hank, because I actually spoke to him just a couple of nights ago. They’ve become like a family to me, he and his wife. But there are varying degrees and I think what’s important is that when you look at it from the outside, some people think that a traumatic experience is someone else’s had, isn’t of such a great magnitude. But to that individual, the way that their body and mind reacts and responds to that experience can be completely different. And there is just no way to know the complete impact. Another thing that’s really important to consider is that—I’ve had people actually come to me and say, I don’t know what’s wrong with me I’m just anxious all the time and I’ve never had a traumatic experience. And what you learn is that what they have been through instead is a multitude of small traumas, and those have never been cleared. So what happens is, it builds and builds and builds and builds and gets ignored. It’s like a single sheet of paper not having much wait, but if you put a ream of paper there all of a sudden you’re dealing with something that is pretty intense. And the other thing I say to people is, when they say to me, well it’s only a one or a two and so I say to them, okay so if you have seven or eight one or two’s where are you now at 23. TANIA: Of course when you’re talking one or two, you’re talking about the intensity of the experience just for anybody who is listening out there. SOPHIA: Exactly, sorry I should have pointed that out, thank you. TANIA: I just think that we’re so used to talking to people who know our language. SOPHIA: Yes. Yes. Thank you for reminding me. TANIA: Yeah, exactly. And I would go with that point. Many people, they can’t really truly identify their traumas because they just think that everything has to be something huge. SOPHIA: Yes, and I think the other thing that happens is that they have done—in order to cope and get on with life, these things get ignored or people tell them just get over it or they feel embarrassed, ashamed and feel as if they should be getting over it and so instead of dealing with it, it just gets shoved aside, so intensifies. SOPHIA: Yes, absolutely, which is why they begin to fall apart. TANIA: Exactly. That’s the point I was just going to make. A brilliant coper can often be a person who is absolutely brilliant at suppressing stuff and pushing it all down. SOPHIA: Yeah, without a doubt. I see it all the time. And what’s interesting is that, a great example of that is, some of the male veterans that I’ve worked with, because of their training as well, it’s like whatever, I can handle, I dealt with it for this long and so on a so forth. And then when you start talking to them in terms of how that’s working for them, you learned that their lives are a bit more than slightly chaotic and for many of them there are addicted behaviors that come in to play and so on and so forth, but as you said, they’ve become master copers, they’re brilliant at coping. Except they’re having relationship issues and family is falling apart and so on and so forth and they don’t understand why. TANIA: I think that’s just a brilliant point because you can push your emotions down and that would be brilliant if they just stayed invisible and didn’t have an impact, but they do, don’t they? Exactly just as what you were saying then in the behavior and the things come out. SOPHIA: Without a doubt. So while they feel that they’re coping well, they have all these emotional issues, which end up manifesting as physical issues and then things just get compounded, because that pushing it down just results in far too many more challenges. TANIA: So what do you find stops people—I mean there you’re talking about an attitude within military people, that kind of gets them to just cope and put up with what they’re experiencing. So what do you find stops people seeking help, when they have had these traumas? SOPHIA: I think that far too many times it is all about being fearful of what they’re going to experience, going through the process. They are fearful of their own emotions because they’ve stuffed them down. And I’ve literally had people tell me that they are so afraid that they will connect with those emotions and it will reach such an intensity for them that they’ll go over the edge and never come back. So it takes a lot of courage for people to step forward and know that it’s really okay. And that this can be a gentle process. And yes, there may be times when there are high emotions that come into play, but it’s typically pretty easy to work through gently and the end result for them is truly life altering. TANIA: You know and what you said there as well, if a person has that fear about connecting with their emotions and that such a huge emotion is going to come up and they’re just going to be left in that situation, because I think that’s what some people’s fear is there. Do you have a specific way of working with them? How would you initially begin to work with that, for that person? SOPHIA: Well, we start immediately right there, tapping very specifically on that fear. And usually what will happen is that some event, some persons, something else has taken place in their life will come to light that is connected, but if you go after that very specifically and directly and the emotions that are attached to them with that. Because another piece of that tends to be that is miserable as things are in my life right now, at least I’m managing, I’m coping again. And what little I can hang on to right now, what if that all disintegrates for me. SOPHIA: Yes absolutely, those peripheral thoughts about what might happen or what could happen. And when I say tapping on it very specifically to me it is too broad to go after the fear that I’m going to just lose it. It’s taking it apart and getting specific with it, because when we do that, that’s one of the beautiful magical things about EFT, is that a lot of the other pieces in the background are connected that come and thread again. The other parts to the puzzle begin to soften on their own at the same time. TANIA: I do think that, it’s been my experience that you can have the fear that what you’re going to come to, is very big. It doesn’t mean to say it is, when you get there, does it? SOPHIA: Precisely, precisely. But it’s what I truly sometimes refer to the fear of the fear. TANIA: Yeah, and I think that is a really important point to make that your fear can be so intense about what might be and the reality can be extremely different. SOPHIA: Yes without a doubt. It’s that anticipation, that , “what if” stuff that goes on. TANIA: Yeah another point because we had a little pre talk about this and you mentioned about sometimes people have a fear of being re-traumatized by therapy perhaps because they have a certain preconception about what it will be like. What would you say about that? SOPHIA: Well, I think that some of this goes to—well there is a lot of misconception but I think another big part of it is that people aren’t necessarily comfortable with sharing what they’ve been through. And I’m sure you’re familiar with it may be part of our audience isn’t, but perfect example that comes to mind for me is one individual who had suffered abuse from a family member, that was so traumatized at such an early age by this that she simply could not remember any of the details. And to this day even though she has worked through it, she still has no real memory of everything that took place. But we were able to help her walk through those feelings, those horrible feelings and the impact that it was having on her relationships with others and how it was impacting her career. But she still couldn’t go to that event, but it was still got—those things still got cleared for her. TANIA: So she found the quality of her life improved? TANIA: So really without her even having a memory of this specific event? SOPHIA: Yeah it was as if the memory was there, but every time she would try to connect with it and she knew who the perpetrator was, she could remember the room, but everything would go black for her and she was terrified of being re-traumatized by going there. And so it was gently dancing around the edges and coming at it from different perspectives that—I’m sorry go ahead Tania. TANIA: I was just thinking—I was thinking it’s very important for people to realize that, because some people think, well if I don’t remember it or I haven’t got the recollection of it, how can I deal with it. SOPHIA: It’s a very important point, because there—and I have clients that go through that all the time because they do have—a lot of people have blocked memories, probably more than most people realize. And they hold that belief, which many times we need it we tap on, that if they can’t recall it then how can I get over it. And it’s simply not true. It can be worked through without the recollection and many times what happens, is that little bits and pieces as they work through the emotion around it, little bits and pieces of the memory will start to return and it’s just a matter of handling it in a gentle fashion, so that they don’t run the risk of being re-traumatized by it. TANIA: I think that’s the absolute beauty of EFT, because it’s such a powerful technique for dealing with anything that does come up and allowing a person just get into a more balanced place. TANIA: In our little pre-discussion, we also talked about the effective trauma in children, because that’s a big area that you’re very interested in dealing and working. So maybe you can tell us a little bit about that. SOPHIA: Working with children for me is absolutely magical and I love it, because I feel there is such a huge need to get this in to the hands of children as early in life as possible. They are absolutely brilliant and I’m always astonished. Because they think to use EFT, once they learn it more rapidly than adults do. They’ll employ it and just they love that self empowerment aspect. So that to me is incredibly important and I’m very passionate about, some things I’m putting together specifically for kids. But I think that too frequently—because especially with the pace of life today that they don’t have that emotional support that they need. And parents and teachers and everyone are just under such tremendous pressure that it gets shoved aside and they don’t truly recognize the impact of different life experiences that it’s having on that child. How it’s impairing their ability to focus or feel good about themselves. And so whether you talk in terms of military families or anything else and perhaps military families will be a good one to focus on for just a moment, because great example that just popped into my mind and that is, I had the pleasure of working with the Fritog’s, when I was involved with Gary Craig, with doing the intensive for veterans and family members. And we also still remain friends till now and after working with Art and Carole extensively, we made a follow up visit to their home in the Carolina’s and I had the pleasure of working with seven of their nine children. And it was astonishing because the children, one as an example would say to me, I’m so glad that dad’s doing better and things are improving and so on and so forth, but he said I still just the sound of his voice and I get a knot in my stomach, because he was still waiting for things to happen. So the family just hadn’t had the opportunity to really work with them extensively and I had the pleasure of doing that which was amazing. Because it’s like you fix one piece of the puzzle as in mom and dad improved and so everybody should be happy because there is more harmony now at home. But those pieces—it’s like the coping mechanisms that we were talking about before, the children are coping as best they can, but not necessarily getting their trauma cleared as the experience—because of what they experienced in the whole scheme of things. TANIA: Yeah, and I think that’s the very valid point. Just because an event is over doesn’t mean to say things have changed. That you’ve released it—we carry it within our system, just as you were talking about that child carrying the kind of emotion around the voice as a locked in response. SOPHIA: Exactly and there were other—there were specific memories and things of that nature that needed to be dealt with, but it was astonishing how much of an impact just the sound of his father’s voice had on him. TANIA: I think it’s fantastic really when you have the opportunity to introduce EFT to children, because it gives them this powerful life tool. What have you found with children, when they’ve been introduced to EFT. I know you said that they remember to use it. SOPHIA: I’m laughing because you brought one of my favorite little clients to mind. He was just absolutely priceless. His parents were being pushed to put him on medication and they were very holistic with their lifestyle and just did not want to go there. And so this child had behavioral issues that had gone on from preschool and the mother was completely exasperated and we began to work and I found out of course in the background that dad was somebody who was pretty uptight and had a tendency to yell a lot and so on and so forth. But this child was deeply impacted by this, because he was highly sensitive. In fact he had a sensitivity to light and most clothing. So he came bouncing in one afternoon and he was so excited that he couldn’t wait to get into chair. He was lit up like a little Christmas tree. So he says to me, I got to tell you, I got to tell you, and I said okay tell me, tell me. He said the other night dad came home, he was really upset and he was running around and slamming and yelling and I just couldn’t stand it, and so he said, quick I ran into my room and he went through the whole tapping routine and the words that he used with great excitement and enthusiasm and he gets to a certain point and he said and then I felt all better. But he had the presence of mind to go into his room, close the door and start tapping. TANIA: That’s a lovely, lovely story to share with us. SOPHIA: And his—sorry Tania—his, the thing that astonished his parents was, that after just a few sessions, he went from getting a daily negative behavioral report, to going somewhere between four and six weeks which he had never done in his school career, with absolutely no negative behavioral reports. TANIA: Of course you see, now he’s got the edge hasn’t he? TANIA: He’s got the edge over his peers. TANIA: And I think people—I always tell that to any young children that come to me, in a way—although they’ve had whatever has happened to them, they now got a wonderful opportunity, to have this wonderful edge out there. TANIA: Yes. I know one of my clients, I think she’s only about six or seven—actually I used the EFT for one thing with her and then when she came back the second time, I found she’s been using it in sport to help her become better than everyone else. SOPHIA: Yes, yes. See that’s exactly what I’m talking about. And that’s another thing, I think that when children are a little edgy and not so sure if they really want to do this work, that is precisely what I try to start with, so they build some enthusiasm, whether it’s a sport or musical instrument or something that they really are into, getting them to see how it can help them with that, instead of just diving into the heavy duty stuff. TANIA: Yeah, and I think that’s important to put across as well isn’t it? EFT isn’t all serious right down the line tears, sadness etcetera. There can be many funny moments and light moments even if you’re working with serious stuff. SOPHIA: Into the situation even when it is something that is very intense, because it has a very relaxing effect and I think it’s very beneficial. TANIA: Yeah, I think laughter in itself is a healing experience, isn’t it really, when you can truly laugh in a good way? SOPHIA: Yes, without a doubt. Yeah. TANIA: With all of that, because you’ve shared so much with us Sophia, maybe you can tell us how people can find out more about the work that you do on trauma, abuse etcetera. Where would they look for you? TANIA: Alright and there will be extensive information on the work that you do including training courses. TANIA: Well, thank you very much for joining me today. And I think we’ve had a little bit of laugh, but also talked about some very serious stuff here. SOPHIA: I appreciate your time and I appreciate you having me here and thanks for sharing this message. TANIA: Thank you. It’s been my pleasure, thank you very much.